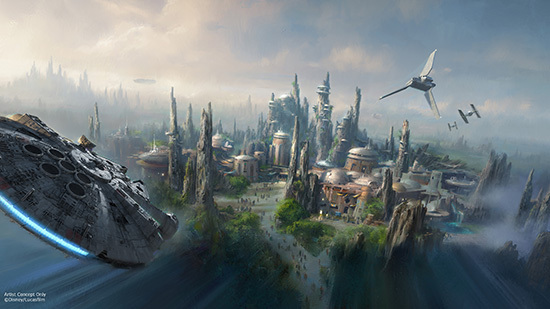 "Ambitious plans to bring Star Wars to life in the two parks include creating Disney’s largest single-themed land expansions ever at 14-acres each, transporting guests to a never-before-seen planet, a remote trading port and one of the last stops before wild space where Star Wars characters and their stories come to life.These authentic lands will have two signature attractions, including the ability to take the controls of one of the most recognizable ships in the galaxy, the Millennium Falcon, on a customized secret mission, and an epic Star Wars adventure that puts guests in the middle of a climactic battle." 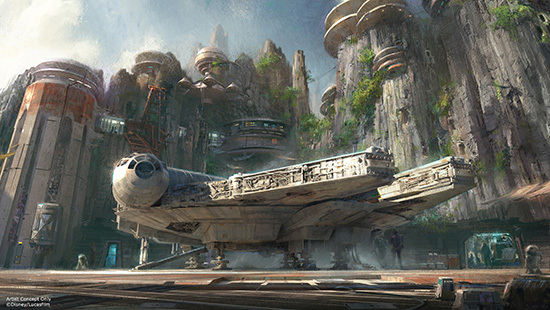 No word yet as to when the parks will be completed, but we'll have our tickets ready when the gates open. 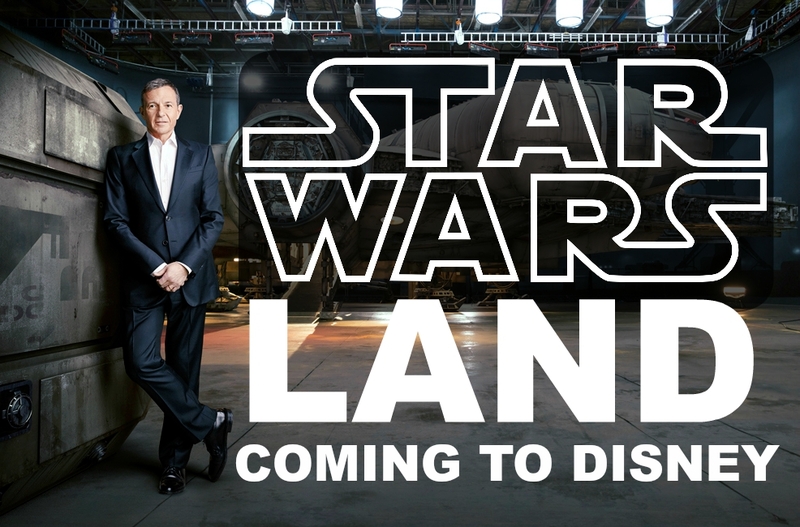 I can't wait for the Falcon attraction since that is a childhood dream come true.